Banerjee was the chief guest at the programme organised by the British government at the 21, High Street, address to honour the disciple of Swami Vivekananda. 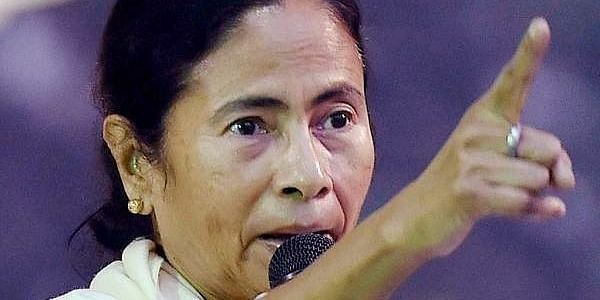 LONDON: West Bengal Chief Minister Mamata Banerjee on Sunday unveiled a Blue Plaque to commemorate the 150th birth anniversary of the Scots-Irish social worker Sister Nivedita at her family home here. Speaking on the occasion, Banerjee said she felt privileged and honoured to attend the programme. "There is an emotional and cultural relation between India and Britain. Calcutta (now Kolkata) was India's capital for long years when you (the British) ruled us. Calcutta is the cultural capital of India. There is a deep emotional and cultural bond between London and Kolkata," Banerjee said. Ramakrishna Math and Ramakrishna Mission Vice President Swami Suhitananda, Indian Deputy High Commissioner in London Dinesh Patnaik were among those present on the occasion. Sister Nivedita met Swami Vivekananda in 1895 in London and travelled to Calcutta (now Kolkata) in 1898. Swami Vivekananda gave her the name Nivedita (meaning 'Dedicated to God') when he initiated her into the vow of Brahmacharya on 25 March 1898.